Updated home on a beautiful large lot! You will love this Open Floor Plan. As you enter through the front door you automatically get a sense of HOME. The large kitchen was remodeled and opened to the family room with abundant cabinets for storage and beautiful Granite Counter tops. You won&apos;t believe the amount of counter space here. The Family room boasts a functional fireplace making it feel extremely cozy and a nice conversation piece. There is tile through out the main living area and comfortable carpet in the bedrooms. The master bedroom will hold any size bed with ample moving space and a large window for natural lighting. The Man of the house will love the garage. 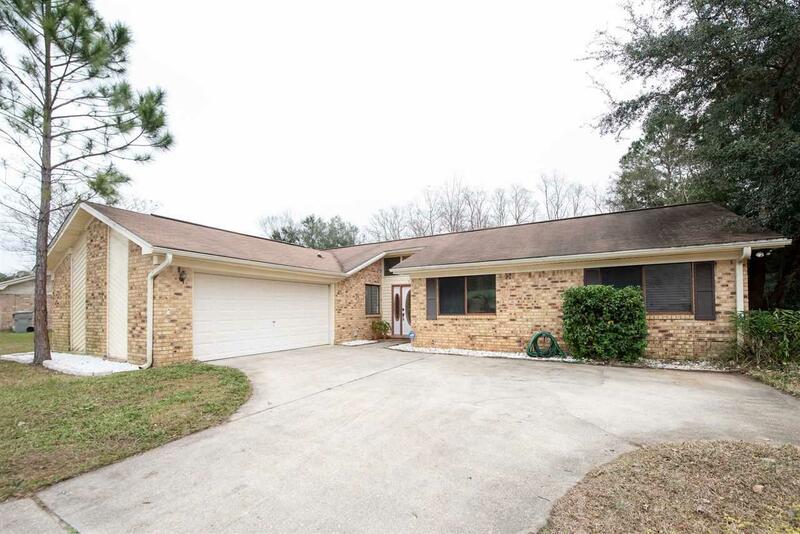 Here you will find the side entry garage has insulation in ceiling, cabinets for storage, ample space for the vehicles and toys, and a side entry door for easy access from yard. Gutters have been installed around entire home.The large back yard is perfect for the kids, pets, backyard BBQ, a pool and /or screened patio! Underground utilities are a huge plus in this subdivision. This is the perfect home for your family. Call today for your private viewing.